Juniors Textured Fire-Truck Bib | Multicolour | Helps to protect baby cloth from getting stain. Save SAR 4 (23.53%) – Earn 1 Shukran What is Shukran? Shukran is the Landmark Group’s award-winning loyalty programme in the Middle East, which allows you to earn Shukrans when you shop any of our brands. Protect baby’s skin or prevent staining of your darling's outfit, by tying this utility-filled and stylish bib around your little one's neck. 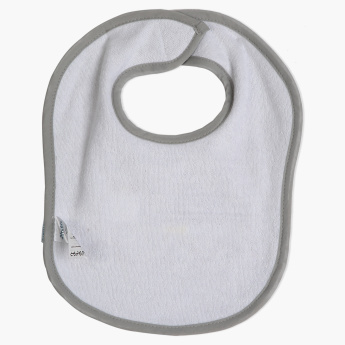 Made from premium fabric, the bib is extra soft and gentle on the skin. It is easy to maintain as is machine washable too. 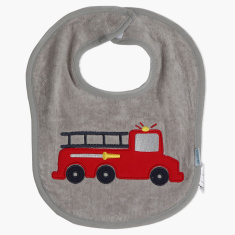 The bib comes with an eye catching embroidery that adds to its appeal.